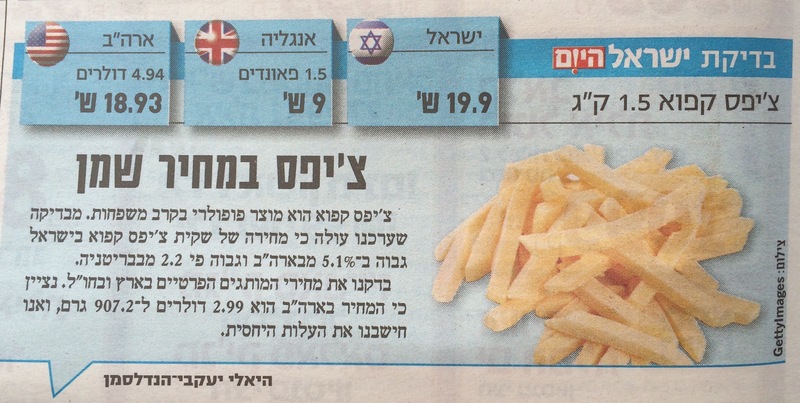 Whether the chips say “American style” or not, Israeli chips are slightly more expensive than the American french fries. 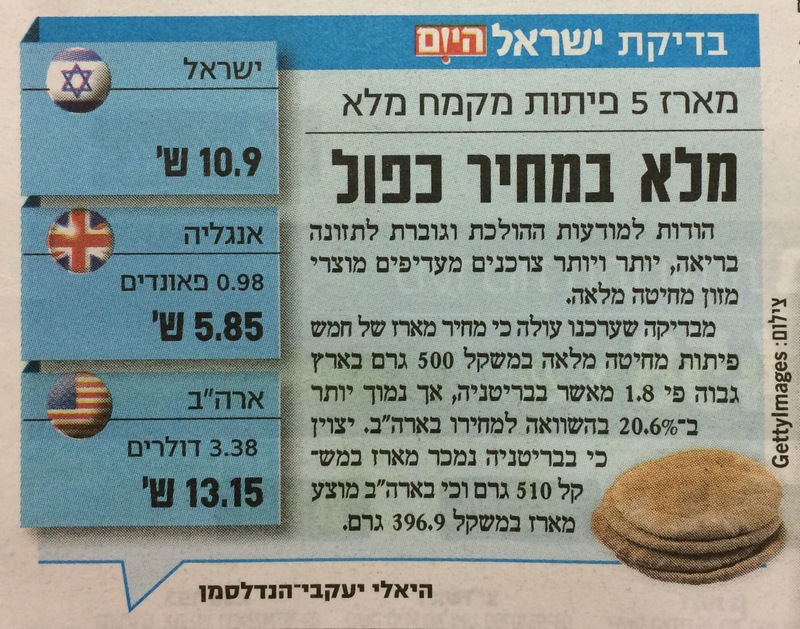 The UK, however, has the most attractive price- less than half the Israeli price. Going to the Israel- Bosnia Herzegovina soccer game 16 Nov 2014? If you are planning to go to the game this Sunday, take the train and get 50% off your ticket price! Go to Fanzone (you have to register with a name, email address, and phone number) to download the voucher. When they ask you what team you are rooting for, click on “ליגת העל” and then “ישראל”. 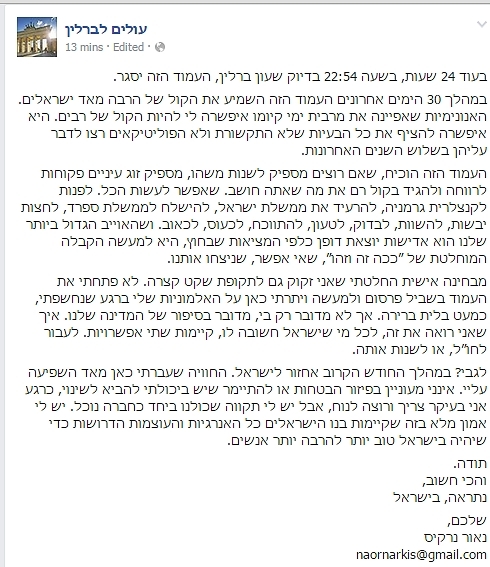 Only a week after he was “outed” as the person who posted the now famous Milky receipt, Naor Narkis has announced that he shut down his “Olim L’Berlin” Facebook page and will be moving back to Israel within a month. This sudden about-face is fodder for the conspiracy theorists. Did the Israeli government pay him off? Was he offered a job at Tnuva? 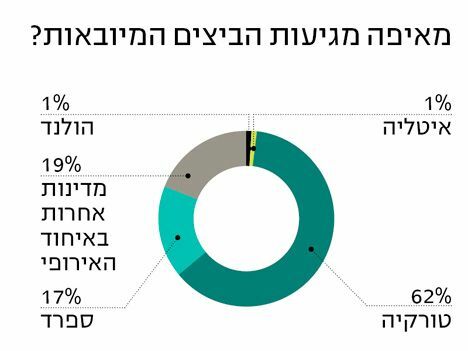 Was it all a plan to remove Yair Lapid as a potential candidate in the next elections? Whatever his motive, it seems that the Milky Wars are being filed away- at least until the next elections. 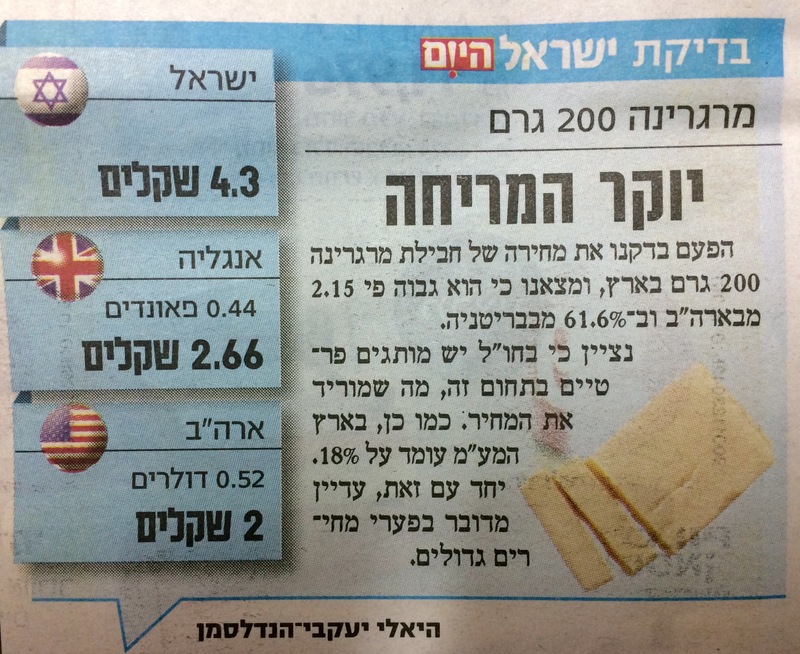 Did you catch the Times of Israel blog post by Kenny Sahr? 1. Deal Extreme– this is the mecca for cheap (I really mean cheap) non-name versions of all electronics and accessories. If you don’t care if it is not a brand name, or is a copy of a brand name, and you want low prices with free shipping to Israel, check it out. I am more of a high-quality long-lasting purchase kind of person, especially after my experience with defective $1 iPhone USB cables, but to each his own. 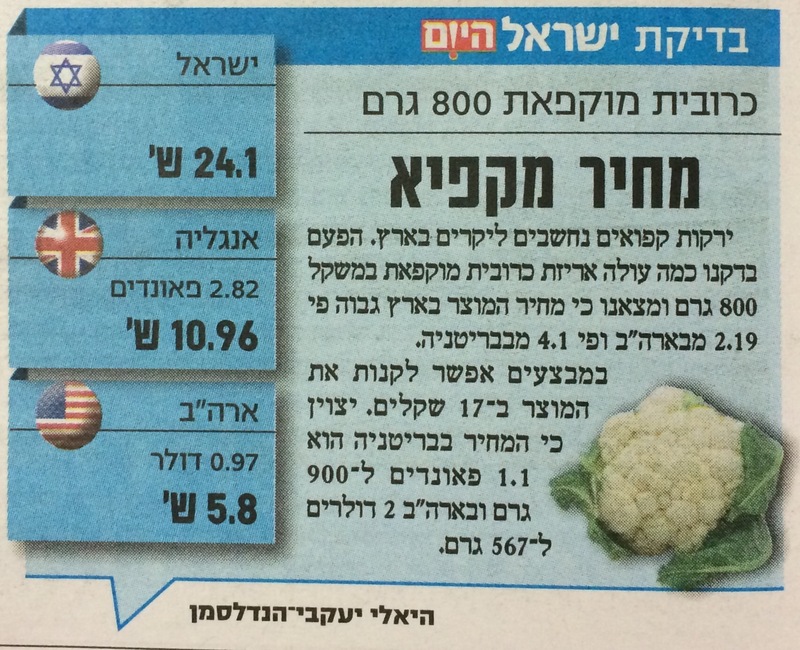 They are insanely popular among Israelis. 2. Book Depository– This site has a huge selection of English books and shipping is free to Israel. The prices area few (i.e. 3-5) dollars more than Amazon, and they don’t have used books, but otherwise they have excellent quality and relatively fast shipping. I love this site. 3. Alibaba– Another Chinese warehousing site- some of which ships free to Israel. You can buy everything from rice to machinery to toys to clothing to furniture. I don’t know what passes through customs and what doesn’t and according to Kenny not all items have free shipping to Israel. I have never purchased anything here. 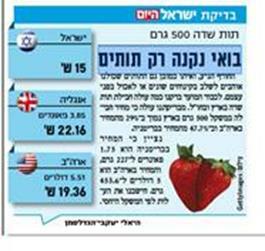 Zipper bags have come to Israel! One of the hardest things about cooking for the freezer in Israel is the lack of freezer bags. The Israeli brand is not worth purchasing and Ziploc bags have become the one thing I ask people to bring from the US. Diamond brand, however, has just introduced zipper storage bags! True, they aren’t as thick as freezer bags, but it is a great step up and I am sure they will keep the food pretty well- the food will probably have a shorter shelf life than freezer bags, though. I have not seen any in stores yet, so if you have please let us know!